My nine year old daughter Laura is renowned for the creativity of her games. She is quick to imbue inanimate objects, and not only toys, with names, voices and personalities. 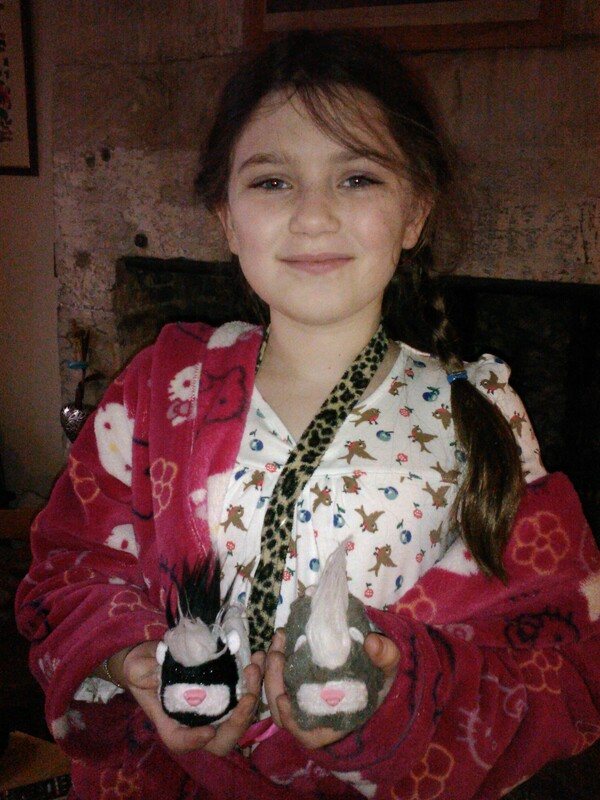 So I was not surprised that her favourite Christmas presents this year were the new additions to her Zhu Zhu collection. Zhu Zhus are small, battery-powered toy hamsters on wheels who move around at random, making funny noises and bumping into things. When they hit an obstacle with their touch-sensitive noses (shouldn’t every pet should have one of those? ), they execute a swift three-point turn and head off in a different direction. They’re sweet, funny, endearing and they don’t make a mess. That’s my kind of pet. Another advantage of Zhu Zhus is that they are relatively cheap. When first on the market a few years ago, and in short supply, they sold for £30 each. 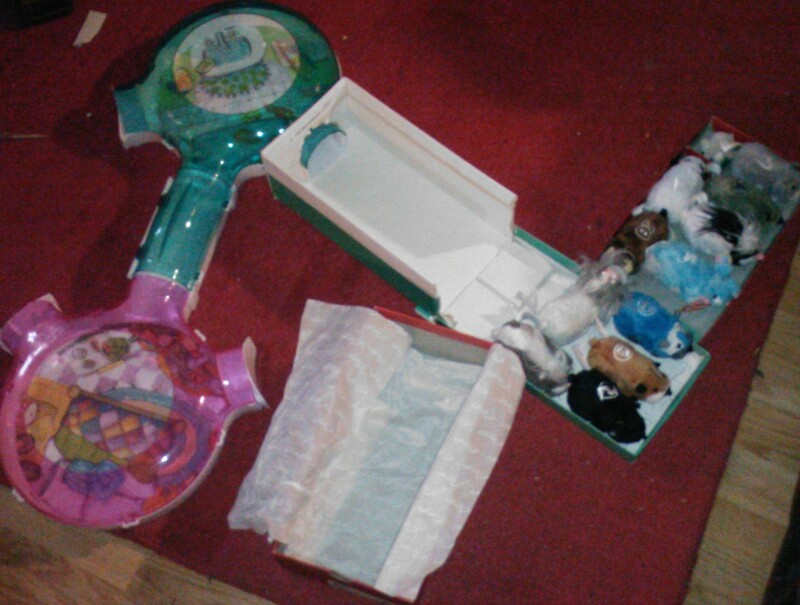 Since superseded by trendier toys, their price has dropped. 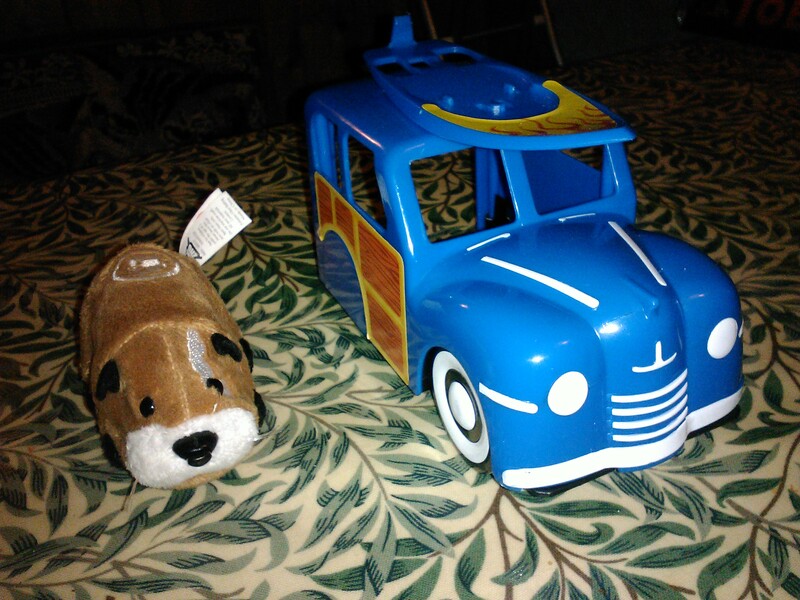 Before Christmas, for a mere £8 I was able to buy not only a Zhu Zhu, but a Zhu Zhu with its own Morris Oxford car and surfboard, both of which it operates by itself when clicked into position. Thus two new Zhu Zhus were welcomed into the fold on Christmas Day, and Laura’s been playing with them almost non-stop ever since. Out of old packaging, she’s built houses and car parks, hospitals and camp sites. 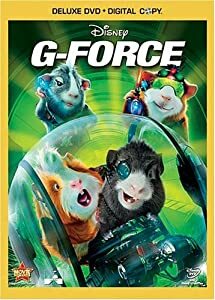 They even have their own cinema, where the movie currently playing is, appropriately, “G-Force” , all about guinea pigs. (It’s actually a jigsaw puzzle of a still from the film). God bless the inventor of the cardboard box! Why particularly did the Zhu Zhus need a hospital? Well, Laura’s oldest one was starting to show signs of ageing. Her wheels turned too slowly (I know how that feels) and the pitch of her once chirpy voice had ominously deepened. I replaced the batteries, hoping that would rejuvenate her, but it made no difference. I took a deep breath and gave Laura my prognosis. 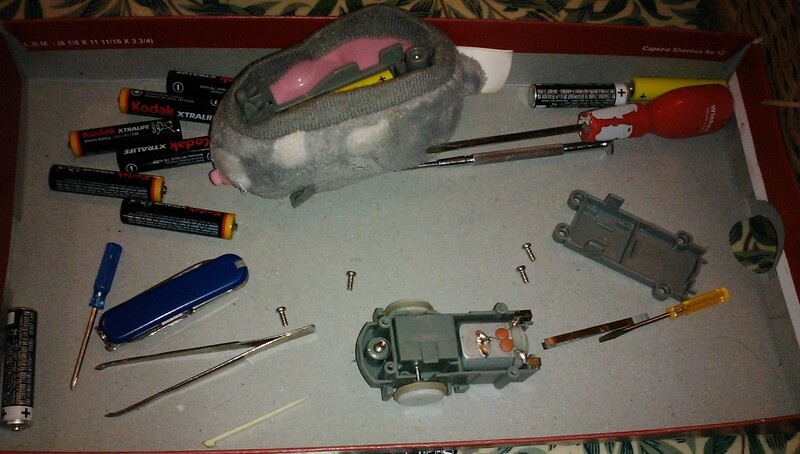 When changing the Zhu Zhu’s batteries, I’d noticed that her wheel mechanism was clogged with long dark hair which looked suspiciously like mine. Also entangled were tiny bits of paper and fluff, most likely picked up when traversing the living room carpet. I reckoned that by excising these materials, I could return the hamster to health. I might even restore her lost youth and energy. I felt a frisson of Frankenstein’s excitement. In preparation, I assembled a motley collection of tiny tools: the set of miniature screwdrivers that had come in a Christmas cracker, the dainty Swiss Army knife that I keep in my handbag for emergencies, and a pair of eyebrow tweezers. I laid the Zhu Zhu on its back and removed the battery cover, plus a further piece of plastic casing that covered the wheel mechanism. The more parts I removed, the more nervous I became. Squinting into the delicate machinery, I carefully marshalled the growing collection of teensy screws that would be required later to bring the helpless round. As I picked away at the tangled mess, for the first time I truly appreciated the skill of the surgeon. What I really needed now was an operating table under a bank of bright overhead lights, with a bevy of scrub nurses to assist me, occasionally mopping my brow. For some time, I tugged and tweaked at my patient, slowly extracting paper and fluff and hair. A surprisingly large pile of debris mounted up next to where the hamster lay on its back, poignantly prone. When at last I’d removed all that I could, I began to reassemble the creature. Must make sure I don’t leave any instruments inside, I told myself, with a flash of professional fellow feeling for surgeons everywhere. Eventually, exhausted by the intense concentration, I dropped the last screw into place and began tentatively to rouse my slumbering patient. I turned her over to rest gently on her wheels and pushed the start button on her back. It was the moment of truth. The Zhu Zhu let out an alarmingly deep chirrup and trundled very slowly forward towards the pressed glass fruit bowl. It tapped the dish with its nose and ground to a halt. My painstaking operation had made absolutely no difference. Sighing deeply, I braced myself to break the bad news to the nervously waiting family. My admiration for surgeons and anaesthetists has never been so high. This post is a tribute to all those selfless medical professionals who have spent their Christmas attending to emergencies working to keep their patients alive and well, while the rest of us have been amusing ourselves with frivolities. 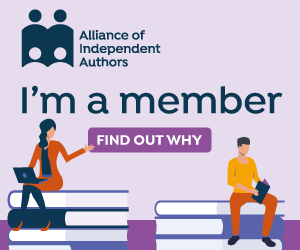 Next Post 2012 – That’s SO Last Year!